4.0 out of 5 based on 50 bloggers and 2 commenters. 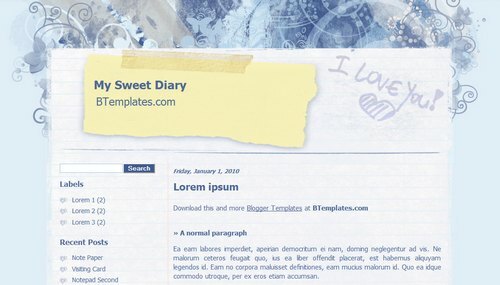 My Sweet Diary is a free blogger template adapted from WordPress with 2 columns, left sidebar and grunge style. I can’t find the ‘BROWSE’ button! Alma, ya están actualizadas las instrucciones para instalar la plantilla, prueba ahora.